Discussion in 'Release Notes (Beta Versions)' started by avatar, Dec 14, 2013. We have created new installer for Adguard. Not it is not just a simple windows installer based setup package. It would be great if you help us test this new installer. One more thing. This new installer also changes uninstall window interface. -i've observed a peculiar behaviour with the installer; aborting the installation anywhere or declining the terms at the initial screen brings up the uninstall Adguard dialog is this intentional ? -on the Adguard uninstallation program, the uninstallation never ends for me with the progress staying at 0%. abort removal next to the progress bar works after clicking yes on the resulting dialog twice. -i think it would be better if the setup program downloaded the installation files after the license agreement screen that way if someone disagrees with the terms or changes their mind about installing Adguard they will not have spent bandwidth downloading(and on your end spent bandwidth serving) a file that will not be used. -in the agreement itself could links be made clickable ? this is for convenience. 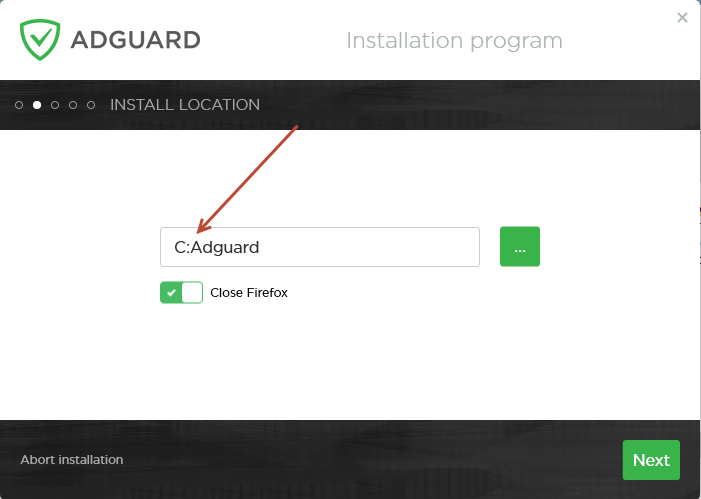 -also how does the installer handle existing installations of Adguard ? i.e functionality such as uninstall and repair. This is not very good, thank you for notice! Could you please attach installation logs? Files in %tmp% folder, file name starts with "adguard". We'll fix it, thank you! It should reinstall existing Adguard. This is good features but they are really too difficult to do it now. so to clarify if i run the setup program when Adguard is installed i will get the option to reinstall. will someone get the option to uninstall alongside the reinstall option ? hope to see those features in the future when things settle down at least. No, there are no options. Installer just automatically reinstalls existing Adguard. ok, thanks for clearing that up for me. We've updated installer (available on the same url), fixed defects you have found. nice! everything looks and works as it should. Good work as always team! I'm assuming the 5.9 beta will use the new installer? I get 404 not found when trying to download the installer. New installer has already became "default" installer -- you can just download it from adguard.com. Sorry for delay with 5.9 beta. Parental Control module was a bit harder to develop than we all thought . Thanks for that! Cant wait to check out the Parental Control module in the latest beta. That's fine. Any screenshots of the new features? By the way, this is the last major release with this old design. We are working on a new UI for Adguard 6. I'll show some screenshots when it will be ready. Looks great! Also noticed the Extension feature, wonder what that is? if i had to guess, it could be the userscripts centre. Hehe, yup, that's what I was thinking too.